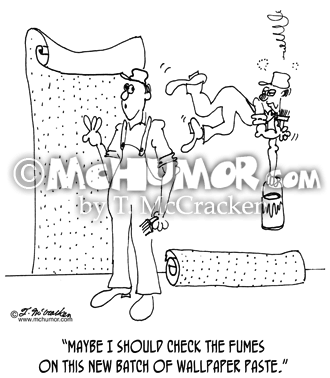 Wallpaper Cartoon 6089: Looking at a man floating another says, "Maybe I should check the fumes on this new batch of wallpaper paste." 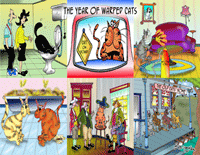 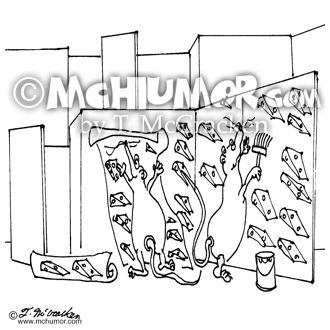 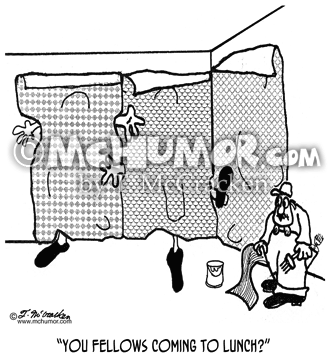 Wallpaper Cartoon 2741: A wallpaper hanger who's papered over hiss assistants walks out and calls, "You fellows coming to lunch?" 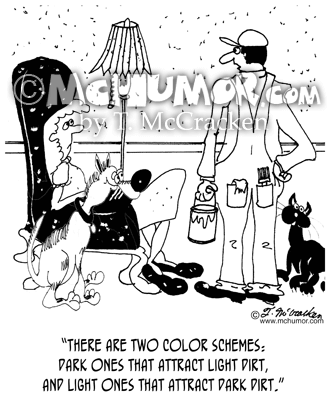 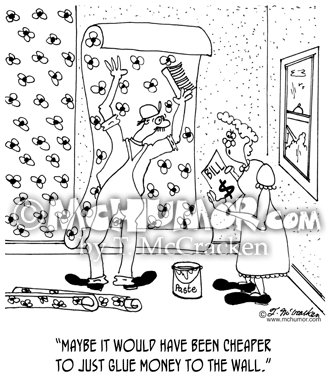 Wallpaper Cartoon 6417: Looking at a wall paperer's bill a woman says, "Maybe it would have been cheaper to just glue money to the wall." 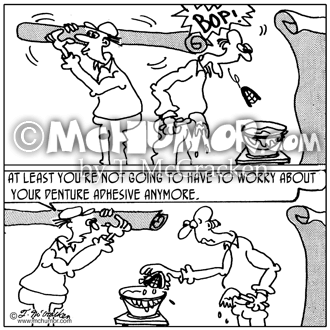 Wallpaper Cartoon 5367: Man to another who's dropped his dentures in wallpaper paste, "At least you're not going to have to worry about your denture adhesive anymore." 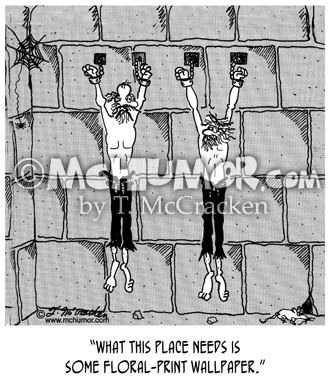 Wallpaper Cartoon 5243: A man hanging in a dungeon says to another prisoner, "What this place needs is some floral-print wallpaper."